The High Value Healthcare Collaborative (HVHC) is a consortium of 17 healthcare delivery systems and The Dartmouth Institute for Health Policy and Clinical Practice. The mission of the HVHC is to improve healthcare value – defined as quality and outcomes over costs, across time – for its service population, in a sustainable manner, while serving as a model for national healthcare reform. There were a number of challenges in this project in the sense that HVHC was part of the Dartmouth Institute, but its future remained unclear as to whether it would become a separate entity. Our design needed to account for extreme flexibility. The entity HVHC might diverge off from Dartmouth, and hosting may take place at a neutral cloud location. 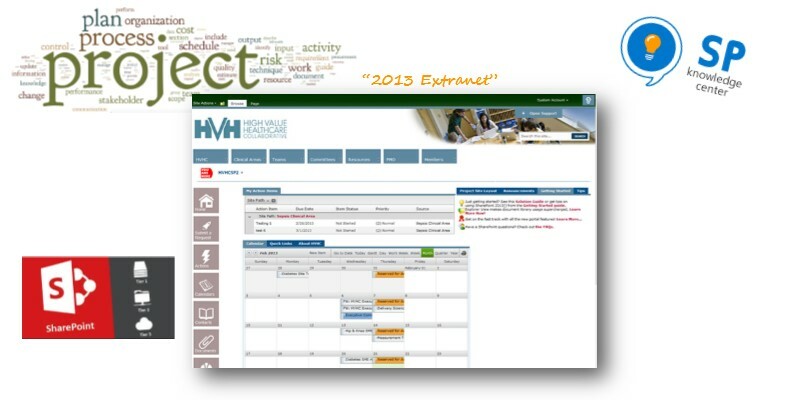 To those ends, a well-documented modular system was designed for this Project Management Extranet. As the problem came into focus, it essentially boiled down to a project management system that would contain documents and content. We defined: the taxonomy, the audiences, the security requirements, and data aggregation methods for creation of dashboards which would show KPIs that were pertinent to the management stakeholders. As sometimes happens, decisions for hosting / funding became unclear and it was decided Dartmouth College would take over hosting of the SharePoint solution. Complete documentation was provided and it's hoped that this SharePoint solution will serve as the base for ongoing process automation. The results were a fully functional extranet that provided partner access via forms-based authentication using SQL as an authentication provider and dashboard roll ups it showed KPIs and traffic lights for overdue tasks. Candidly this was not a full success as fuzzy goals and politics of SharePoint ownership grew quickly as we approached latter stages of this project completion.